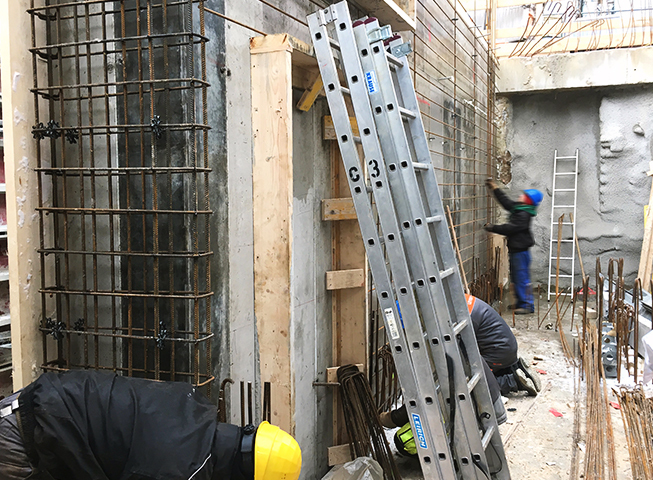 During the first weeks, several walls in the basement were already built. 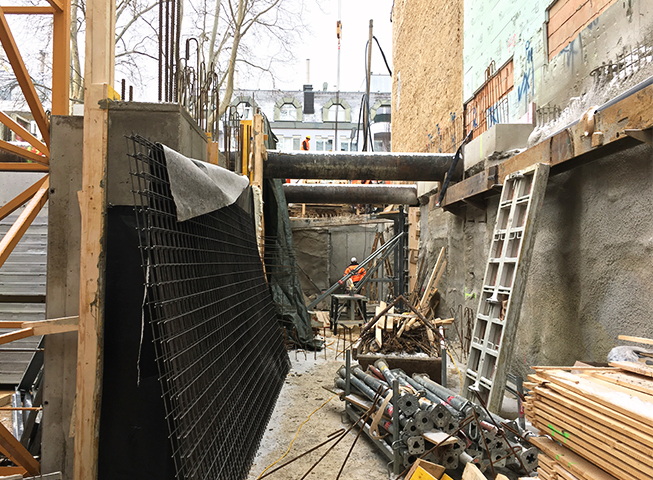 In addition, the construction of the concrete infill in the selected bored pile sections started and the building pit stiffeners were partly removed according to our schedule. 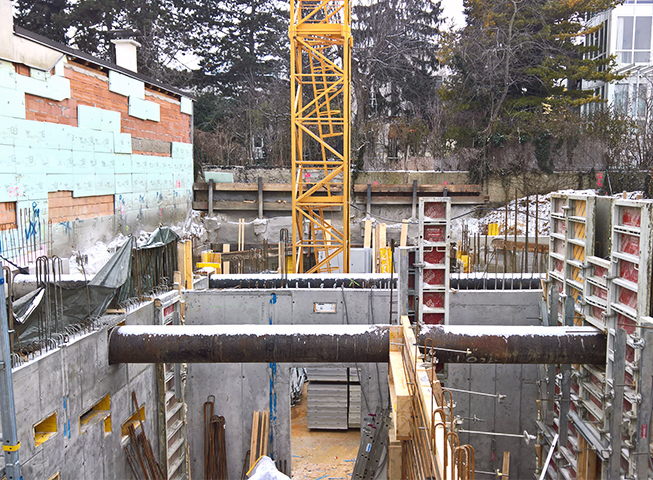 Overall, the construction progress continues to be fast, despite the harsh winter. As a result, the next step will be to start building very soon the ceiling above the cellar.